Yeah! Jets! 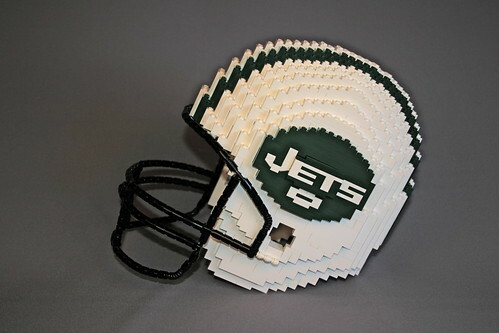 This is a football helmet, made out of LEGO! I imagine you could wear it, but it would hurt, especially if you got hit by a 350lb linebacker, LOL. Go Jets! Sports and stuff!